Robert F. Byrne passed away in his Coconut Grove home on September 5th, 2018. He had valiantly battled metastatic melanoma for many years. As was his nature, he remained positive and hopeful during this tortuous journey. Bob leaves his family who loved him dearly. His brother Michael (Wynn) was his constant companion, on, under, and off the water. They shared every aspect of life together. This brotherly love had no equal. To his sister Babs (Richard ) Bob was best friend, protector, and soul-mate. His nephew Jake and nieces Taylor, Stephanie, and Courtney were blessed by his presence in their lives. He was their mentor, confidant, and role model. Bob loved them unconditionally and cherished time spent with them. Since childhood, Bob found joy in nature and it’s preservation. His vast knowledge of horticulture led him to found Bayview Landscape. Bob was the consummate renaissance man. 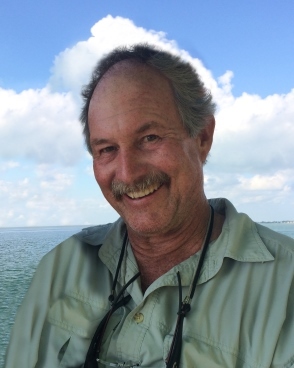 He enjoyed lifelong Coconut Grove living, fishing, lobster season, music, the Everglades, sunsets at Stiltsville, biking to The Keys, every plant, and even the Grove peacocks! Motorcycles, and the world adventures they afforded him, were his passion. Bob was surrounded by a cadre of friends who shared the essential aspects of his life and benefited greatly from his generosity of spirit. To know Bob was to love Bob, kind and giving, “larger then life”, never in judgment. He was a treasure to his family, and to his diverse and devoted friends. It is hard to imagine that this vital life has come to an end, but never his beautiful spirit which lives on in all of us.